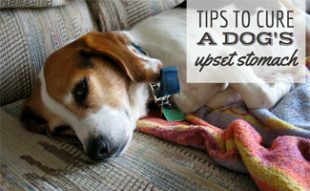 Home > Dog Health > Illness > What To Do When Your Dog Vomits? This question for our Pet Doc comes from the concerned owner of a 2 year old German Shepherd named Reily. My Dog is Vomiting – What Could be the Cause? Reily has just gone into heat (whether that’s a factor or not I do not know). Yesterday she threw up twice. Both times there was nothing in the throw up. Today I woke up because I heard Reily puking again! This time there was a few chunks of bones in there. I partially think this is due to me changing her food and not easing her stomach into it? Which I did the other day. She had been eating Iams proactive health large chunks for large breeds and we bought the wrong kind by accident – Iams proactive health mini chunks. the puking began. Or maybe the new pigs ears I introduced her to the other day, which she had two of, is having an effect? Or maybe her vomiting is caused by her being in heat? The problem now is that she doesn’t eat when I put her food down. Out Pet Doc Responds: What To Do When Dog Vomits? Thanks for the question and sorry to hear that Reily isn’t feeling well. It can be a tricky thing to determine the exact cause of a problem like vomiting in a dog sometimes. You mentioned in your question a few things that could potentially be the underlying issue. First, has Reily ever reacted this way during previous heat cycles? Many female dogs respond differently to their individual cycles but the behavior is typically consistent. Second, what kind of bone was in the vomit? This is very important. Dogs should NOT eat any kind of cooked animal bones. They can cause obstruction, perforation of bowel, and simply generalized nausea. Uncooked bones are generally okay, but they can still cause problems in some dogs. There are too many safe and tasty dog treats out there to feed animal bones these days. Some dogs also don’t do well with rawhide bones either. Can a Change in Diet Cause Your Dog to Vomit? The sudden change in diet that you described doesn’t sound very serious and I wouldn’t normally think this small change would be a problem, but all dogs are individuals and some are less tolerant of diet changes than others. The pig ears could be the culprit as well. Typically what causes the upset stomach when there are diet changes is the change in the protein or carbohydrate in the dog food or treat. This could be a change from beef to chicken, corn to potato, or simply a different makeup and distribution of the ingredients. 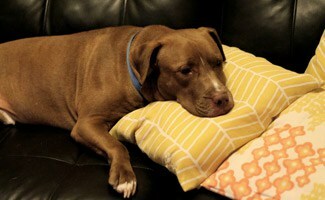 Most dogs do well with 12-24 hours of fasting for a sudden bout of nausea. This fasting should be followed by slowly reintroducing the normal diet in small amounts for a day or two. Keep in mind that this applies to otherwise healthy pets that aren’t showing signs of discomfort, lethargy, or dehydration. If your pet has a poor appetite, lethargy, vomiting and/or diarrhea, then it is best to make a trip to see your local veterinarian. Ask yourself about Reily’s bowel movements. Have they been normal? Is there any straining or loose stools? Let us know what happens and good luck! I’m sorry Silly, we are not licensed vets, so we cannot give any detailed information about your situation. How is your dog doing today? My Dog vomits a white foamy thing everytime he eats a solid food. We have consulted every Vet in our area. We have got his XRays and all the blood tests done, Evrythinh is good according to reports. Recently he vomited out blood and all my family members were so freaked out. We feed him only liquid and boiled eggs sometimes but mostly he vomits after eating them. We feel so sad seeing him in pain. he was a happy dog but now he never plays. i am crying…plz sombdy help me. My 11yr old female pitbull has puked clear slimy stuff in the doorway for the last 4 days while Im gone. Shes always had seperation anxiety so could this be due to her barking and screaming after me? How is she doing today? 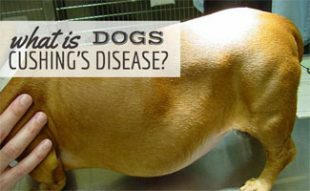 If you are concerned about your dog’s health you should take her to the vet asap. We hope she is doing better. My 8 month old German Shepard just stayed throwing and what she threw up was cooked chicken she had gotten into. What should I do I wanna take her to the hospital any suggestions? Did you take her to the hospital? Whenever your dog is sick you should consult your vet first. Hope your dog is doing better! My puppy is 11 weeks old. Last night she started throwing up, we helped her. I woke up to her pooping out only blood. She wasn’t sick at all. What would cause this? Just yesterday I lost my two year old chocolate lab the same way, he was worse than her. He died in my arms I am afraid of losing her too. The vet won’t see her without money. I’m so sorry Barbara. Try seeing another vet. Sometimes vets will setup payment plans with you, so you can get the care your dog needs and pay in multiple payments. Vet’s always ask for money AFTER they perform the treatments. It sounds like both your dogs died from Parvo. It was transmitted from your first dog, probably got on your clothes, furniture, carpet, etc. and your puppy got all of it on her then licked herself and contracted it. It causes intense vomiting and rectal bleeding. Don’t let your dog anywhere near anything that might not be 100% sanitized after being in contact with a dog that just died from such horrible symptoms. A vet check up is only about $40-80. A check up would be the first step in diagnosing the issue and then they would tell you what it was they had and the treatment for it, then the costs. We found a stray today and so we don’t know what he ate, so diet change is inevitable. He threw up tonight and I don’t know what to do. Wait 12 hours? I can’t take him to the vet till Monday (it’s 2 am Saturday), so how do I proceed? Sorry we don’t respond to comments on the weekend Jennifer. If the dog is still vomiting you may want to take him to the vet asap. The reason for his vomiting could be anything since he’s a stray and you do not know what he’s gotten into. Keep us posted and we are thinking of you. My dog is vomiting yellow foam with black chunks in it along with a tiny bit of blood. He is also throwing up a little food . He is usually very happy and energetic but now he is not. Can anyone tell me what is going on? I’m hoping that this will get read. I have just taken my German Shepard out for a pee and he got sick. It was the usual color of his sick but there was a little bit of blood in it. Not a lot to make it look drastic. He was okay this morning but when we went for a walk this morning he was slow and I think he didn’t want to go so brought him home. He has drunk water and had something to eat (both before) that were biscuits, I’ve always given him biscuits for his food but do add meat every so often. He has had a treat (he gets one when I have to go out and he is left home and doesn’t leave a mess) but when I came back and put him in the garden he was sick. It isn’t much about the size of a tea cup saucer but my partner is going into over drive thinking he is dying. So while I know it isn’t hard to diagnose over the net any idea what to do? It was about an hour ago and he hasn’t been sick since just came upstairs and laid down in front of his fan (he loves that thing). So sorry your pup is sick. If he is still sick today you should take him to the vet asap. The vet is the only one who will be able to diagnose the problem correctly. Best of luck and update us on his progress! Thanks for the reply. We made him a vet appointment for Tuesday but sadly it was too late. He passed away in the night and I found him this morning. I had a feeling it was gonna happen through the night but the vets wouldn’t let me bring him up earlier than Tuesday but last night he was told how much he meant to me, he was told he was loved and that he’ll never be forgotten and I like to think that he went with that in his head. I’m gonna miss the hell out of him and it’s a struggle to deal with but I know time’ll pass and I’ll get through it. Thanks for the reply. I think it was his time. He’d gotten old and was tired and had some hip issues so I think he knew it was his time as well. Like I said, I’ll miss him but it was his time. We are so sorry for your loss. Know that you are in our thoughts. My ten year old German Shepard vomit this morning . Took her for started to eat grass vomit white foam. Has not eaten all day. If things aren’t better today take her to the vet. Upset tummy. Usually after they graze and vomit a couple times they get rid of whatever was upsetting their tummy. 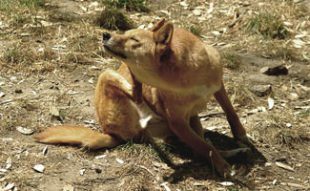 Keep water close and pay attention to the vomit..if she/he has gotten a hold of a splinter bone you might night want her to vomit.Contact your vet aswell for professional guidance. I have a 13 year old chihuahua mixed with something else and she is throwing up and very weak what could cause this? There are many things that could cause your dog to vomit. I suggest getting her to the vet asap. Vomiting can lead to many life threatening things. Please keep us posted on how she does. Hope she gets to feeling better soon! My dog threw up and ate grass twice today. Should I feed her as normal, or give her bland chicken (and or) plain rice? Hi Terri, is your dog back to normal now? I have a 2 year old pitbull named Captain… I brought him in from the cold weather and gave him a warm bath to get the mud off of him and a few hours later he threw up like 5 times and I took him outside and he had diarrhea like 3 times. :/ Please help I’m scared I’ve done something wrong. Could it just be the climate change? I would call the vet and ask him/her about it. My dog went into her first heat she has become very lethargic and won’t eat. I knew that could be normal and I know she is drinking water but the second night into it she has started throwing up. What she does throw up looks clear. Should I be concerned or is it normal when in heat for the first time? We suggest you call the vet and ask about her. You can also check out our article on what to do when your dog vomits. Best of luck! My dog has had intermittent vomiting episodes and only brings up bright yellow bile. Over the last 3 weeks he has still got an appetite but is drinking more than usual. Any ideas? I only feed him once a day. His tummy doesn’t seem bloated. I just got my first lab puppy after years of boxers and I would like some help. My pup is 11 wks old and the last 3 nights has been sick. The first night he did not bring anything up but the last 2 nights he has bought up a small amount the size of a 10p piece of white froth. We have only had him a week and he is very lively and he has no problem peeing or pooing. I have a beagle boxer mix and he is 4yrs old. I have a question he just ate his dinner then went outside and was running really fast when he came in he laid down then next thing he threw up his whole dinner is that normal? Could him running really fast after he ate could that have caused him to vomit his dinner? My 2 year old chihuahua started vomiting this morning. Since it was partially digested food I didn’t think much of it. I figured he had an upset stomach. Then it turned to bile. Now it is white. It was foamy, but now it is clear. Does anyone know if this mean he is getting better? I am not sure what he ate that could cause it. If anything hits the floor he thinks it is food and will eat it. Usually that only means paper. The only thing I did give him was his heartworm pill (Heartguard) and about 3 hours before that his Nexguard. That was yesterday. He sometimes does throw up when he gets those. Could it be a delayed reaction? It is evening so I can’t reach the vet until tomorrow. I removed all of his food. I tried to give him corn syrup and he wouldn’t take it. So I put it on his paws. I also tried to give him Pro-Pectalin – something the vet gave me when he was throwing up once before. He used to love it but today he refused to take it. He barks when anyone comes over and seems energetic then, but the rest of the time he is lying down, just looking at me. If I leave the room he whines. He wanted me to hold him, but he is quite temperamental most of the time and when he wants down he bites. It’s not acceptable, but I won’t correct him when he is sick. I am concerned and will call the vet tomorrow to see if I need to take him in. What can I do to relieve his nausea until then? btw his poop looks normal. My 3 month old German Shepherd puppy has had vomiting problem for four days and the vomit is a dark brown liquid like coke. After vet treatment like many injections twice a day and iv as well as fasting more than 48 hour also without water, she is not having any relief. It is a very critical condition. A lot of weight loss. And now today I serve three teaspoon of water but she did not digest it, vomiting after 3 to 4 minutes after drinking. She didn’t have a stool for three days. The vet says that she does not understand this. He also says that my puppy could have eaten anything, like garbage. What should I do? I am feeling very sad about it and we both feel helpless. Hi Surya, Sorry to hear of this distressing situation. This does sound quite serious but only a real person who is properly trained as a veterinarian can help you. I would suggest that you call the vet office back and ask if you might talk with another vet there to see if they have a second opinion after reviewing your case. If one vet has failed to be helpful, hopefully another can pick up and solve the mystery. Also, you may check with local rescue organizations in your town (Humane Society, SPCA, etc.) to see if they might have any ideas. Best wishes for a speedy recovery for your pup. Ok, well my dog was fine until last night. She ate as usual and at the normal time but soon after she vomited and it was chunky. I saw the food bits in it and she hasn’t been acting the same since. I took her outside to see if she would walk but she was wobbly and drooling a lot. Usually she walks ahead of me but this was like I had to drag her along. So I brought her back in and laid her in her bed. She has been there all night and didn’t move once. So this morning I tried to walk her again but no luck. She just vomited again and almost choked on it. So I picked her up so she wouldn’t choke. The color of the vomit this morning was kinda yellow green but thick. There was nothing in it – not foamy or anything. I cleaned her up and put her back in her bed. Would anyone know what caused this? I’m worried and don’t know if I should wait it out and see if things change or take her to the vet. Now her breathing is normal and she isn’t panting or have a fast heartbeat. Hi Danielle, I would definitely call your vet today to discuss this with them. They will likely ask you to come in but this sounds like it is worth having checked out by an expert. If it is extremely hot where you are, this may be related to the heat but better to ask a vet how to treat her. My dog hasn’t been eating or drinking and can’t control his peeing. He also keeps vomiting all over himself. I’m really worried and don’t know what to do! Madeleine, Please call your local vet for advice. I have an 11 year old female boxer that vomits all the time. If I give her water she vomits, food she vomits. She has been on canned food for awhile now due to her not being able to chew up hard food anymore. I am not sure what else to do. I have an almost 11 week old puppy that is half lab and part Staffordshire pit. The last 2 mornings he has woken me up by puking yellow bile, I believe. He’s eating and playing normal. It has been in the 90+ temps the last 2 days. He sleeps in bed with us and we have a/c in the window and he wasn’t out playing in the heat. He’s only puked once each morning. He has access to food and water all day and night. He’s had his first set of shots and gets his next set in a couple days. He’s acting normal but I’m worried about him. He’s our baby. He’s been healthy since the day he was born. I have been with him every day of his life. He nursed fine and at 8 weeks weighed 14 pounds. My female dog gave birth 5 days a ago and when she eats she vomits everything? Is this normal? Lind, there could be a hormonal unbalance from the pregnancy. She could be nervous from the birthing of the litter and hence she is getting sick. Did you recently change her food? If the issue continues, we recommend taking her to the vet or giving her something to remedy the problem. Good luck! My dog hasn’t been eating or drinking and has been puking up yellow like bile. I woke up today to find a bloody, foul-smelling, watery stool from him on my floor! Does anyone know what is wrong? He’s only a year old!! People don’t realize that your dog doesn’t have to be exposed to other dogs to get parvo. You can bring it home on your shoes. 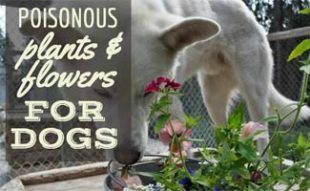 All you have to do is walk in an area where other dogs have had parvo before in the past few years. The virus will remain in the area. When I have a dog under age 2 in the house, especially if they haven’t had all of their vaccinations yet, I take my shoes off at the door. I don’t track anything that might be on them into the house. Dogs under 2 are vulnerable. Even if they had their shots, they are not completely protected, just less likely to get it.